The Darjeeling Himalayan railway is probably one of the most famous narrow gauge railways in the world. Situated in India, this engineering masterpiece which rises a total of 6,850 feet over its 50-mile length, was constructed between 1878 and 1881. 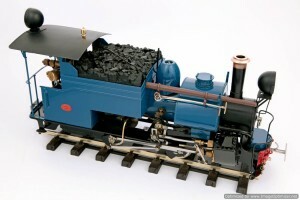 The railways main motive power were the famous class ‘B’ 0-4-0 well tank/saddle tank engines designed by Sharp, Stewart & Co of Manchester and Glasgow. 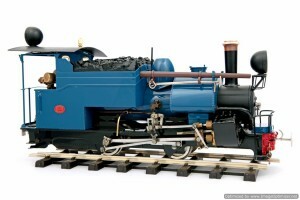 Between 1889 and 1929 the DHR purchased a total of 33 of this class of locomotive from Sharp Stewart, North British Locomotive Co and Baldwin Locomotive Works as well as building 3 in its own workshops. Loco’s dating back to 1892 are still in use today! 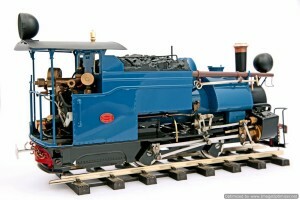 The Roundhouse Class B is typical of the locomotives that are currently in operation on the railway and features a wealth of detail to augment the legendary Roundhouse performance and reliability. Technical specifications for the Darjeeling ‘B’ class. 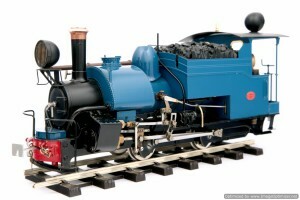 0-4-0 outside framed chassis with two double acting slide valve cylinders. Full radio control is available for both regulator and reversing valve gear. Internal gas firing using the Roundhouse ‘FG’ system. Controls fitted as standard are:- steam regulator, safety valve, pressure gauge, displacement lubricator and gas regulator. Water gauge and boiler top up system fitted as standard. Available in any standard ROUNDHOUSE colour. Exhaust Enhancer fitted as standard. Overall dimensions are:- length 365mm, width 115mm, height 170mm, weight 3.5kg. Also available with insulated wheels.